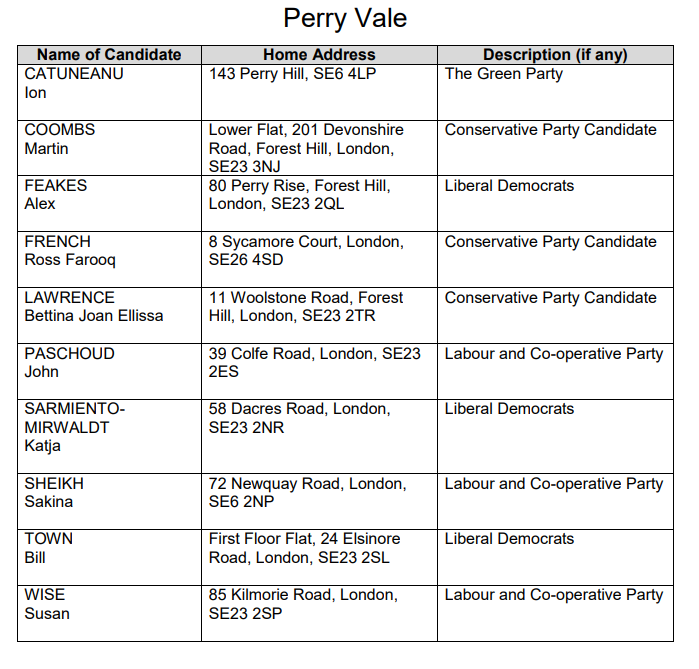 The following are nominated to be councillors of the Forest Hill and Perry Vale wards in the upcoming election on Thursday 3rd May 2018. Register to vote by midnight on Tuesday 17 April. Apply for a postal vote by 5pm on Wednesday 18 April. Apply for a proxy vote by 5pm on Wednesday 25 April. 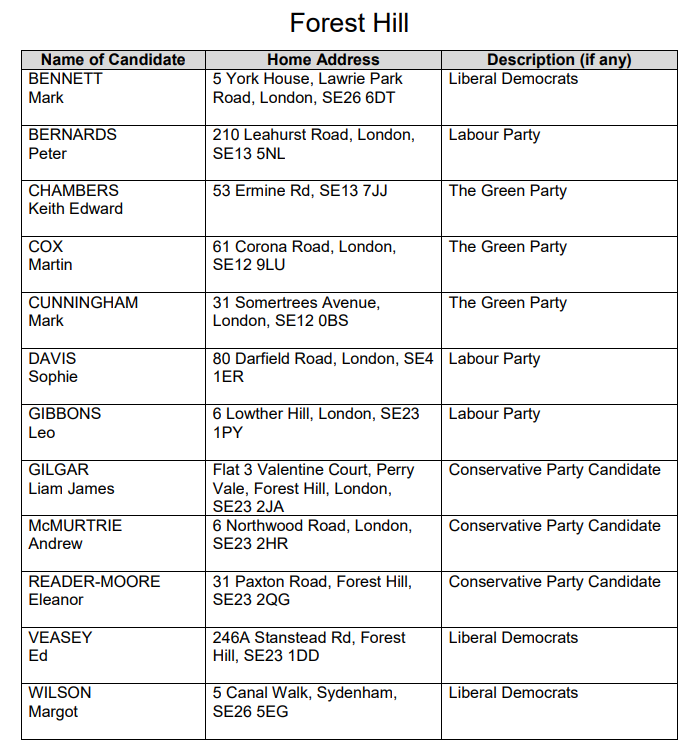 Does anyone know whether there are any pre-election hustings taking place for either Perry Vale or Forest Hill wards? And if so, any details (location, date time)? It's not the same as what you were asking for but residents may be interested to know that there will be a Lewisham Citizens' Mayoral Assembly ''with mayoral candidates and other key decision makers''. This is organised by Lewisham Citizens UK and will be on 26/4/18 at Sydenham School, Dartmouth Road. 7-8:30 pm. Audience can observe only. Doors open 6:30 pm.